Hermanus offers so much to the visitor and Zoete Inval is far more than just a place to rest your head. Their booking desk provides heaps of information on all local activities and attractions. Marilyn is an accredited tour guide who specializes in that personal touch seasoned with Jan’s trivia… To avoid disappointment, be sure to prebook one of these activities with us. Claim your FREE jacuzzi session the evening after your adventure and share with others! Abalone (Perlemon) shells are best known as mother-of-pearl. The harvest of the shell contents is a highly prized delicacy in Asia. This is why these animals are farmed and are poached in nature almost to extinction. The tour is educational and entertaining. All registered guests qualify for a discounted rate. 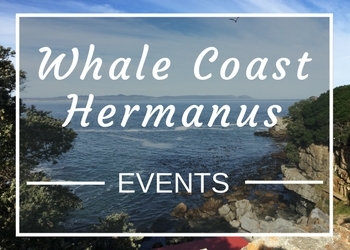 Hermanus's best kept secret and it is FREE! This piece of paradise is situated in the center of the world’s smallest but botanically diverse region known as the Cape Foral Kingdom. The reserve comprises no more than 18 square kilometers yet is home to more than 1400 documented plant species. (Go to www.fernkloof.com for the full story). Fernkloof is situated in the Kleinrivier Mountains above Hermanus and the trails begin just 2 blocks from Zoete Inval. This reserve is home to diverse coastal flora and fauna. The mountain walks and link up with the coastal walks to make a circle route daytrip. Great White Shark Viewing and cage diving trips offered daily; conditions permitting. All equipment (wetsuits, warm jackets, towels) provided. Your trip starts with a delicious breakfast before your briefing and continues with, lunch and refreshments on the boat.